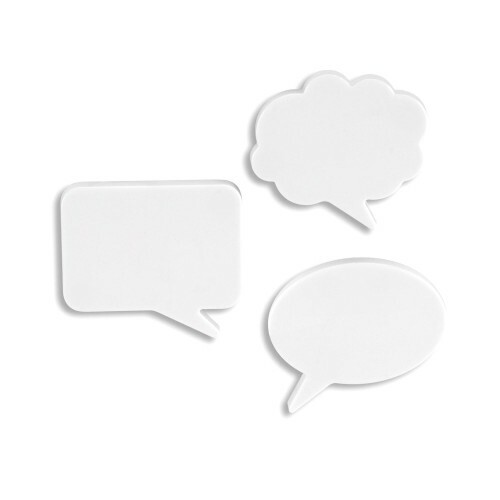 These writable speech bubble magnets can be placed on your fridge or any other metallic surface to be used as post it notes. Basically each of them is a little whiteboard that you can use a whiteboard marker to write on. A neat way of getting messages across to loved ones, fellow workers or even people you do not like. As a gimmicky, nice product they succeed simply because they have such a nice appearance. 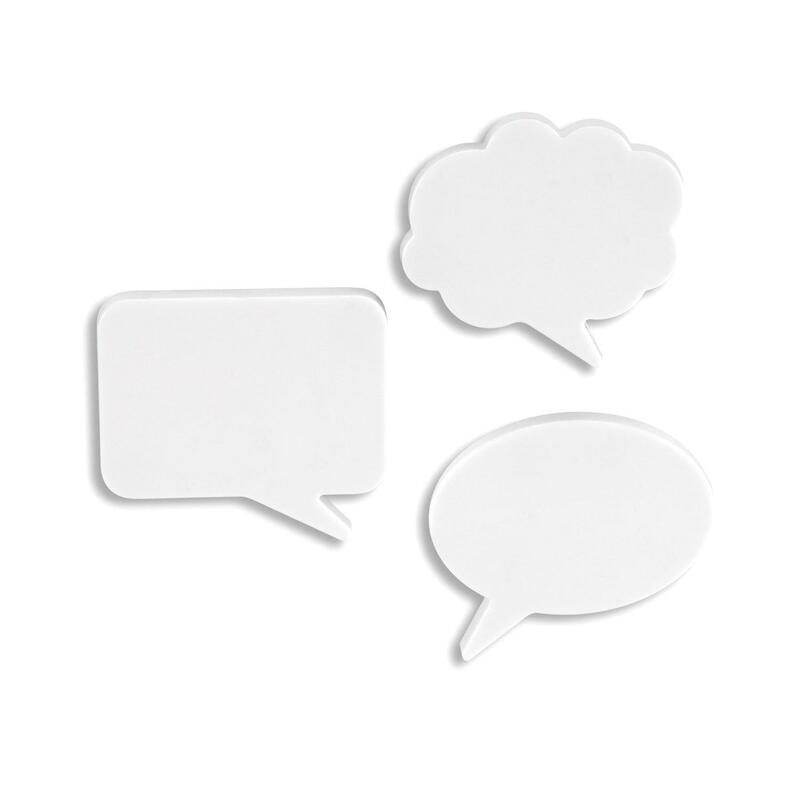 The idea is fairly simple and they look exactly like the speech bubbles typical of comic books. 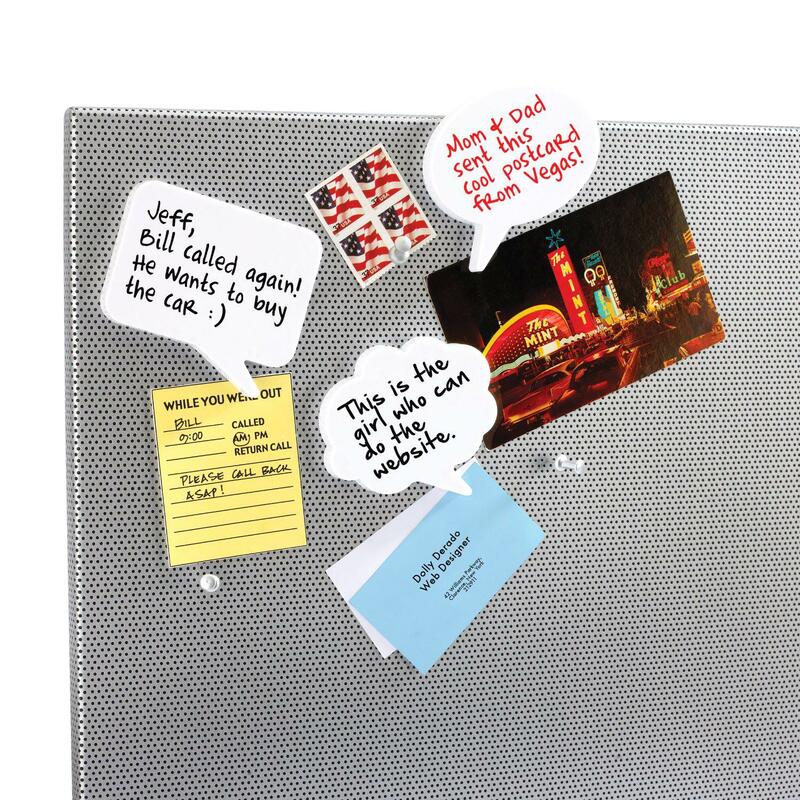 They are not just great for delivering notes in the household but you can also use them in funny ways elsewhere. Your imagination is the limit with them. The price of them is also quite fair given they have a nice design and are seemingly manufactured in Europe. They are clean and simple, allowing you to express your creativity through them. The only problem with the item is the magnets. Depending on the surface there are times when the magnets are just not strong enough. There is also the odd report about the magnets coming off them completely. These are problems that really should not exist at all, because it is not hard to get some good quality magnets and mount them securely. A nice product for getting messages across on the family fridge, but stronger or simply bigger magnets with a more sturdy design would have improved it enough to make it a 4/5 product or higher.